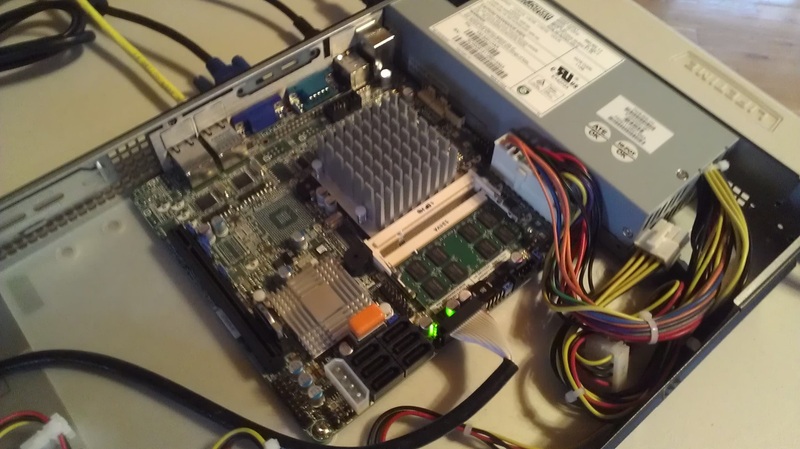 This HOWTO provides an example of using RAMBOOT for a home router on an inexpensive Intel Atom setup. The RAMBOOT project was actually started specifically for this system. Total cost at the time of purchase (March 2012): $326.36 (including shipping). There is no HDD since the system will use the USB flash to boot and run in-memory from there. 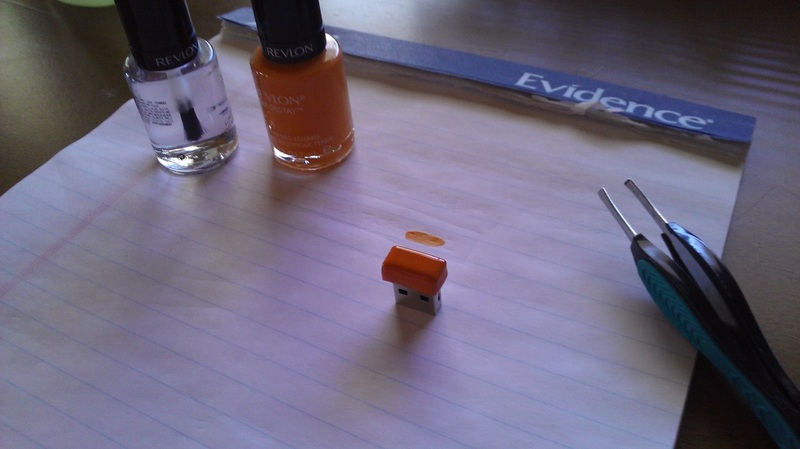 The USB flash was specifically chosen for it's small size. It can make use of the on-board vertical USB slot and still fit within a 1RU case. 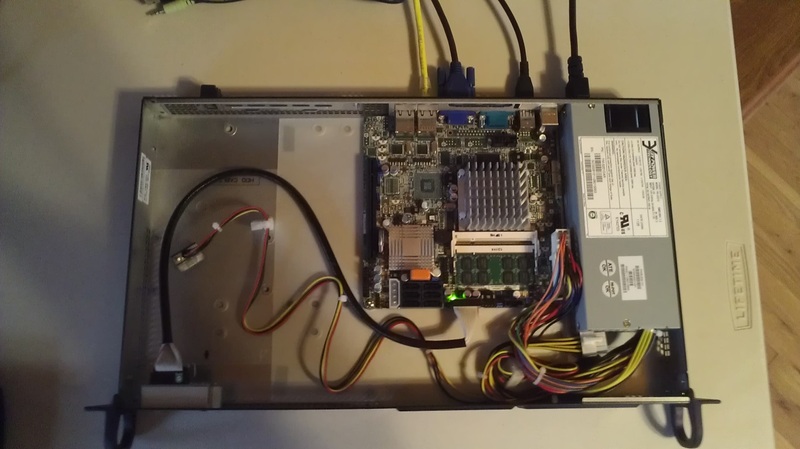 The major factor for selection of the Atom system board was finding one with dual on-board Gigabit network interfaces which use an Intel networking chipset. In testing, non-Intel chipsets are often not able to achieve Gigabit performance. Going with a rack-mount case was one of the major costs for the project ($75). 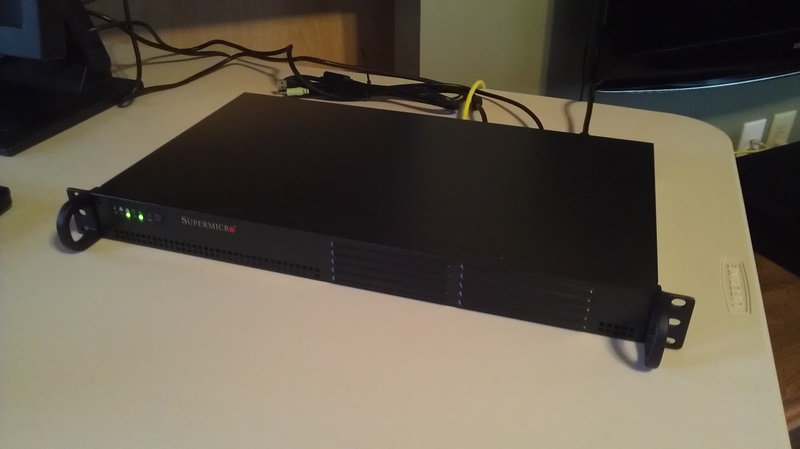 If you don't require a rack-mount solution, you can get a less expensive enclosure. See Photos at the bottom of this page. This setup makes use of 4GB RAM, with a 1GB ramdisk and 3GB remaining for the OS. Install the latest RAMBOOT release to the USB flash using the instructions on the RAMBOOT website (RAMBOOT-1.0.0-beta1 was used for this HOWTO). Upon first boot, the absence of a config.tar.gz archive will result in the root account being enabled. Login as root (no password is set). Using apt-get, update packages and install the software desired for your system. You will want to add a non-root user (useradd) and add the user to /etc/sudoers, then disable the root user. You may also want to install a DHCP server and other network services depending on your goals for the OS. Note that some common packages may not be found by apt-get. If this is the case you may need to edit your APT sources.list and include additional repositories. You should avoid creating specific configuration files at this stage, since we will be using the state of the OS as a new base image for your RAMBOOT system. You may want to use a default password for user accounts in this stage as well, as they will be replaced by the configuration package later on. Next mount the bootflash and run the rebuild_rootfs script from the INSTALL folder. After this, you should be able to reboot and have a system with the packages you've installed. # Rules to block or allow internal traffic here. You should then have a functional in-memory router OS. Any changes should be made to rc.local and the config-save script should be run again for the configuration to persist through a reboot. Note that this is a very basic example and doesn't include a DHCP client for the outside interface, or DNS and DHCP services for the internal network. The USB storage was painted for an artistic touch (Note to self: nail polish isn't a good idea for this ... very long dry time). The unit powered up and running. Top view of the system. Close-up of the USB flash in the system board. Code examples are licensed under the GNU General Public License version 2 or later. Verbatim copying and distribution of this page is permitted provided this notice is preserved.